Chicken rice is one of Singapore’s classic dishes, and soya sauce chicken rice is a dish that is rich in taste while exuding hints of Hong Kong flavours. 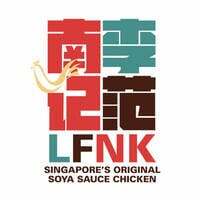 Lee Fun Nam Kee was founded in 1968 at a small hawker stall in Toa Payoh, featuring soya sauce chicken rice that boasts succulent chicken with a hearty sauce. To date, the outlet offers roasted delights such as chicken, duck, roast pork, roasted char siew, and homemade chinese sausage. Order a heartwarming bowl of soup to go along with the meal or side dishes such as poached bean sprouts, homemade 5-spice shrimp ngoh hiang, Thai-style fried tofu, and special sauce silky hor fun.